Last weekend was my mom’s birthday, so as a treat, we met up in Washington DC and had a little girls weekend. Neither of us have spent much time in DC recently so it was fun to try some new restaurants and do some sight seeing. 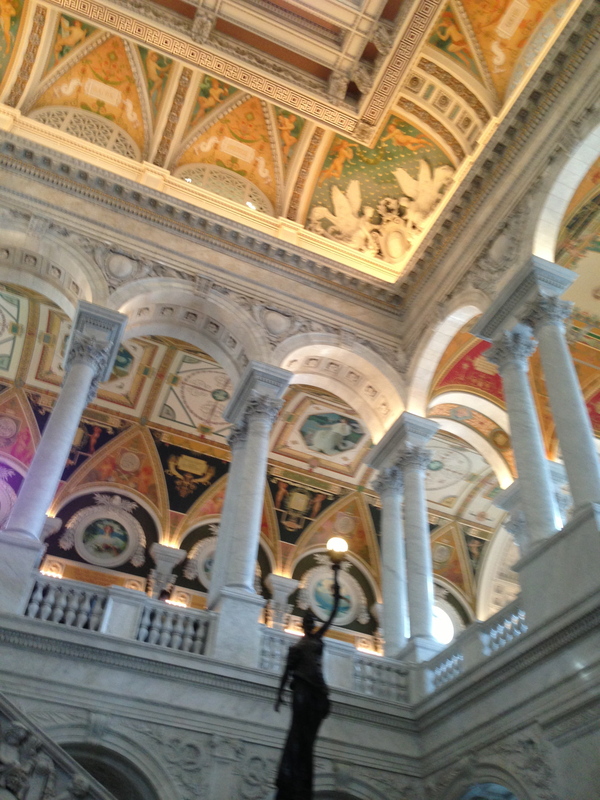 One of the highlights of the trip for me was visiting the Library of Congress. I know that sounds kind of nerdy, but hear me out. As you may or may not know, I am a big fan of Mr. Thomas Jefferson. 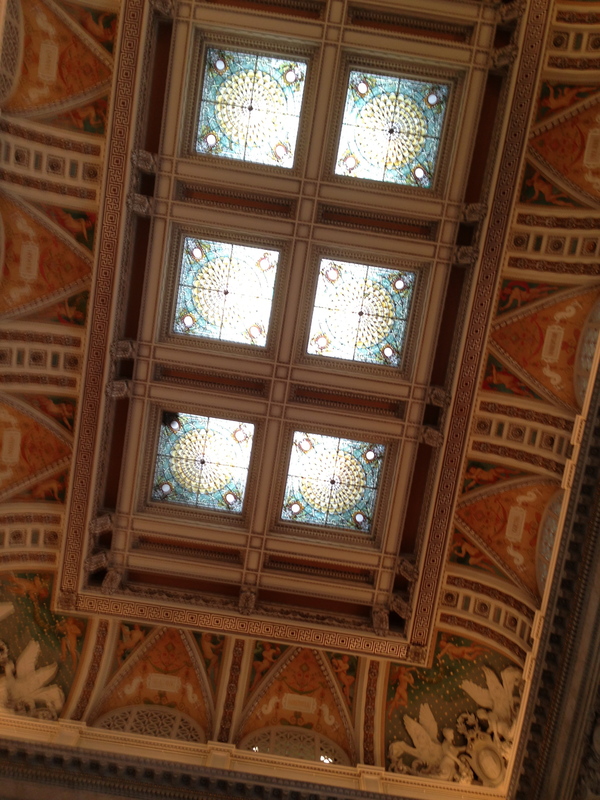 The Library of Congress was basically started by TJ selling Congress his personal library. So we took a tour at the main Library of Congress building (there are several ancillary buildings around DC), and there were several references to TJ throughout the tour. There was even an exhibit that was a replication of his original library as he would have laid it out in his house. The building was a lot more ornate on the inside then I was expecting. It was basically decorated wall to wall with paintings, mosaics, and sculptures. Every piece of art was chalk full of symbolism of muses, historical references, and lots of famous faces. I took a couple shot on my phone but they don’t do the building justice. You should definitely stop by if you’re in town! There are several rooms and exhibits that don’t allow pictures so there is plenty more to see! Can I request a restaurant recap post? I really enjoyed the food I had in DC and would be interested in knowing where you ate.